Hi there - by way of introduction I have just specified a SVR quote for a replacement company car (currently X5M). I have tried the Stelvio GF and tempted by the new X4M Comp. but concluded on the SVR. Dealer informed me that MY19 orders are full and indeed all new orders are MY20 as noted above. Delivery is expected in August. Have quoted on a Firenze Red with the Ebony/Pimento interior as not that keen on a plain black interior. 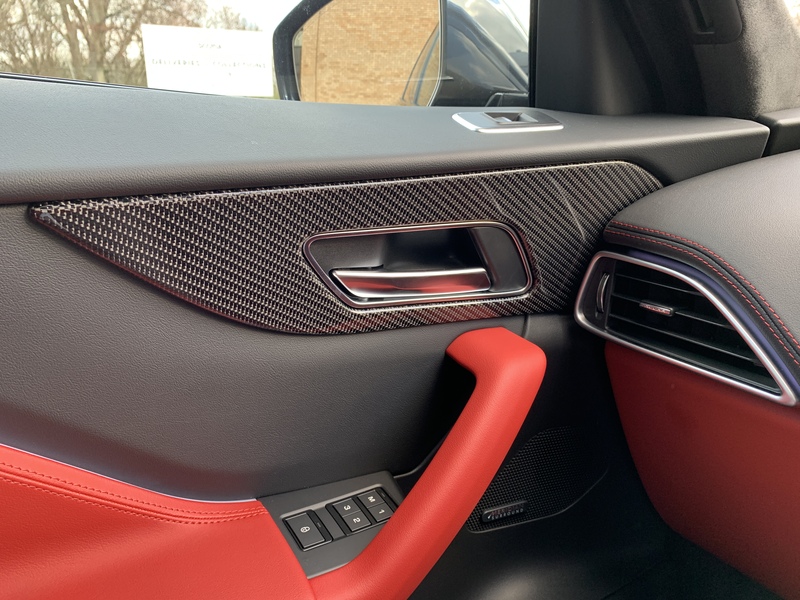 Can anyone point me in the direction of some good interior photos and with the carbon weave trim - not added that at the moment as unclear what you actually get!? 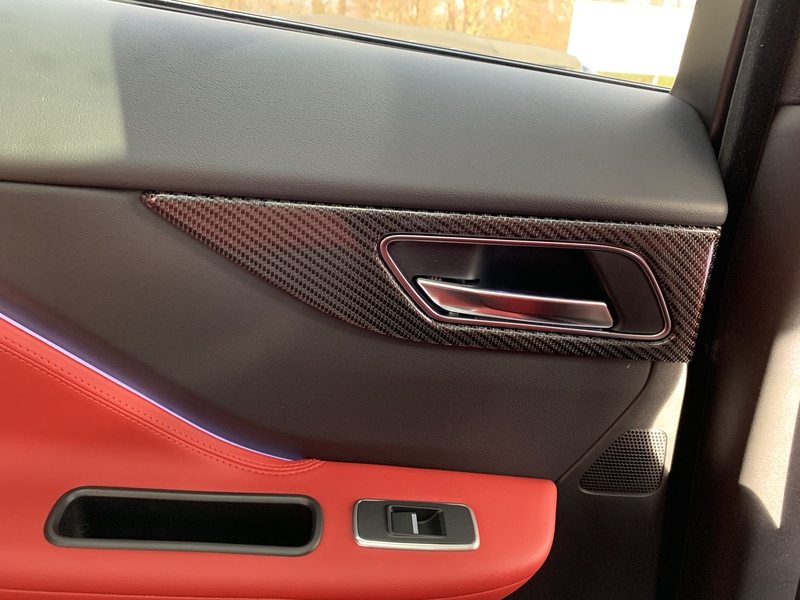 Not got any pictures of the carbon trim but from what I saw it was just the gear selector surround and the two patches on the door cards next to the opening handles. Not worth £1400 in my opinion. Yes I think as he said above just round the gear select and door handles as far as I’m aware. I also think that it’s not worth £1400 but it’s a choice you’ll have to make. Interesting about your delivery date, I ordered mine just over 2 weeks and still waiting on any dates. Was hoping for June / July but can wait till August. Best to have the latest MY20 although not much will have changed as I understand it. I’ll be chasing up my dealer next week if I don’t hear from them first. That’s pretty much it... and the 2 patches on the back doors too. Maybe not worth the money, but I wanted it! Yes thanks - dealer has sent me a photo of door trim panels. Looks like I can add it anyway as I had included both the 360 Degree Surround Camera and the Driver Assist Pack so had double counted £990 of options already. I liked the Carbon in the Stelvio so may add it. Here's the carbon bits. Around the gear selector, front door and passenger door. Hope that helps. Its £1150 extra - maybe a tad over priced, but I like it!! 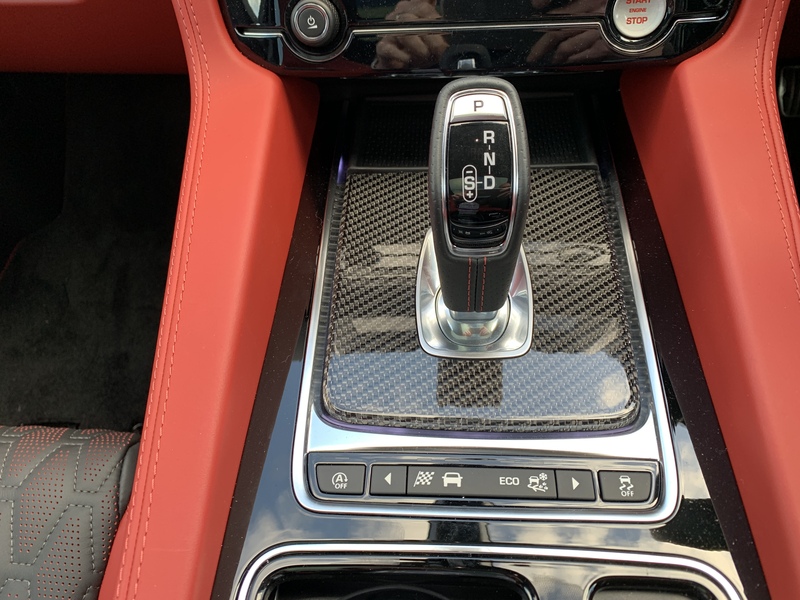 If theres anyone here who actually has an SVR, can you please test out your heated seats. I'm up in Scotland, and it's been pretty chilly for the last few days - so I've had the heated seats on. The first time, I didn't think they were working... but it turns out they're just not very good. The bit you sit on heats up, but not at the front of the seat. The heated back rest seems to start from about 20cm up from the base. To me, that 20cm (lower back) is the bit I want heated most. They also take an age to get warm. My commute to work is only 20mins, and it must take a good 10mins to feel any effect (probably because the base of my spine is still freezing!!). My previous SQ5 was hot all over within a minute. Would be interested to know if all F-Pace seats are like this... whether it's an SVR thing... or is it just mine?! Sadly for a 20min commute, you’ll not notice much of a difference as they do take a long time to heat up. It’s one of the reasons why where I can I don’t specify heated and cooled seats as they use air to warm/cool rather than electric coils for just heated seats. It means that you have to wait for the air to warm/cool before it’s pumped through the tiny perforations in the leather. I don’t know where the heating comes from but it does seem to be linked or related to the heating of the cabin as I don’t get warm seats until the vents produce warm air which can be several minutes into a journey. Heated only seats generally use electric coils which heat up much quicker. I thought the heated part was done via an element, and the cooling was done by air? When I tried the cooling, there was an obvious fan sound coming from under the seat. When I do the heating, there is no sound at all. I doubt living in the UK I’ll ever have the cooled seats on! On the plus side, the heated steering wheel works very well. Almost instant heat. I’m sure someone will come on here to confirm but on my previous JLR cars (built since 2015), heated only seats were instant but heated & cooled seats took ages, and became warm around the same time as the cabin air vents. That’s what made me assume they were linked somehow. I also assumed cooled was somehow linked to the air con system for cooling.